A1 Rufford Bay Summerhouse: The A1 Rufford Bay Summerhouse is a quaint summerhouse with a bay window and single offset door. This summerhouse comes in three sizes, the smallest being 6ft x 8ft and the largest being 10ft x 10ft. The bay window offers a unique feature whilst giving you a small shelf to display your favourite garden bits. The T&G framed wall panels are ready made and assembly is straight forward. This pretty summer house would be a great place to read a book all afternoon or to relax with a loved one. 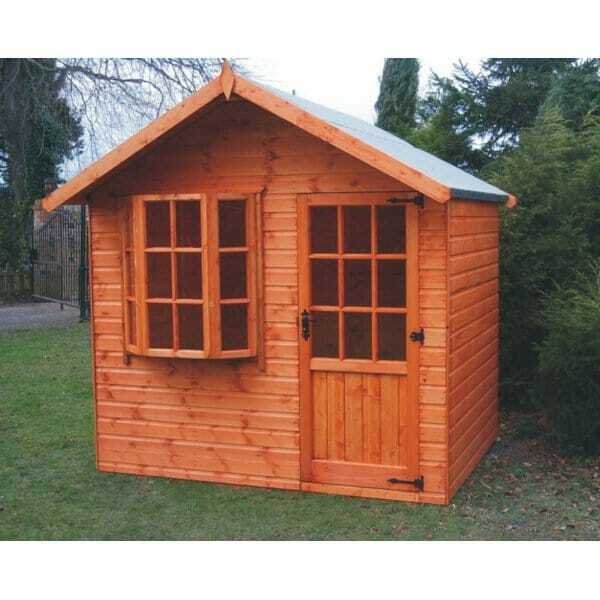 A delightful, good value, top quality timber garden summerhouse from Garden Chic.